Paying a major concern to safety, we offer a wide range of anti slip floor coverings for use in an array of environments – industrial, commercial and domestic. Thanks to special surface design our PVC anti slip flooring offers high-quality non slip vinyl flooring products which boast increased resistance to skidding. All of our safety flooring solutions available have slip resistant properties. Enhanced slip resistance is achieved by increasing the friction between the foot and the floor. The secret to our non slip vinyl flooring is a dense concentration of deep inlaid anti slip particles throughout the wear layer. This means that the properties are guaranteed for the entire lifespan of the product, as aggregates are not simply added as a top coating which could wear off over time, they are inherent within the whole product. Since the PVC anti slip floorings are available in a broad range of colours and patterns, our non slip flooring offers you a greater choice of designs and styles. Made of tough PVC, the Coin type commercial PVC flooring is excellent option for any project! The coin pattern on the surface of this product, known as PVC coin flooring, is a very good feature because it helps with traction and safety. In addition, this PVC flooring performs well in wet conditions. 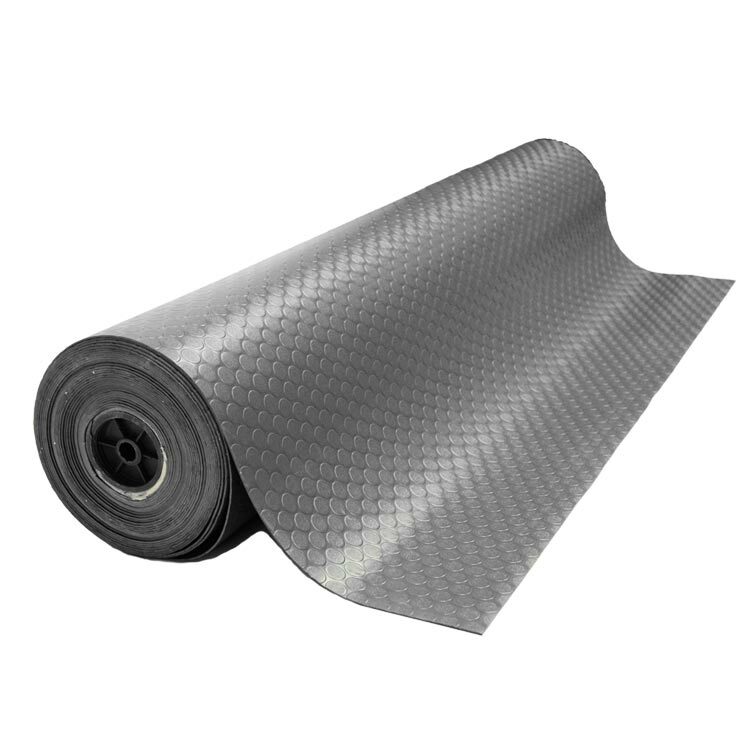 PVC provides this product a high level of resista.. 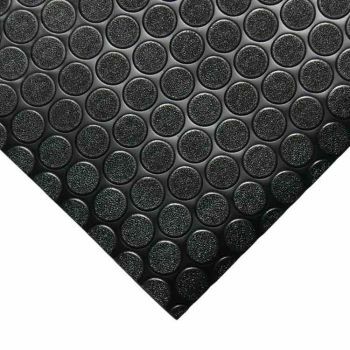 If you search for the perfect PVC flooring for commercial and industrial needs, look no further than these PVC diamond pattern plate mats. They are designed with a unique pattern which helps adding more traction to your feet. 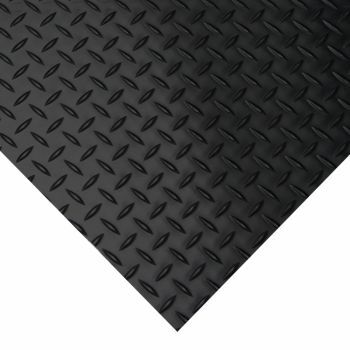 The PVC diamond plate floor mat is very versatile flooring. It adds a tough, rugged, and professional aesthetic ou..